How to show License permission in BC? 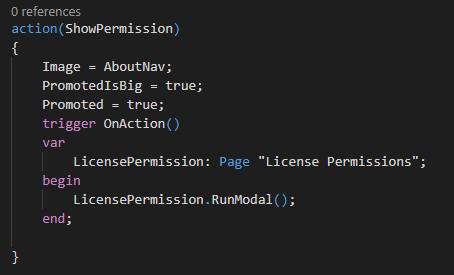 I can create a page to show license permissions, and if I set it as startupPageID it shows what I expected it to, but it is not searchable or showing up as a button. Have you set usagecategory and so on?